Have you ever found yourself with sweaty hands before a big meeting or felt your heart pound before getting on a roller coaster? You are experiencing stress. Stress is an automatic response our bodies have to unexpected or challenging circumstances. Your nervous system kicks into high gear, flooding your body with hormones that elevate your heart rate, increase your blood pressure, boost your energy and prepare you to deal with the problem. Stress is often useful for helping us to focus on a task and perform at a higher level. But the constant pressures of life ─ such as working long hours, traffic jams, money problems and tensions at home ─ can cause your body’s alarm system to stick in the “on” position. This is chronic stress. Over time, it can interfere with your ability to live a normal life and can contribute to serious health issues, including obesity, heart disease, diabetes, depression, gastrointestinal problems and asthma. You become easily upset, frustrated and moody; feel overwhelmed, like you are losing control; have difficulty relaxing and quieting your mind; feel lonely, worthless, and depressed; and avoid others. You have low energy, headaches, upset stomach (including diarrhea, constipation and nausea), chest pain and rapid heartbeat, tense muscles, insomnia, frequent colds and infections, loss of sexual desire and/or ability, nervousness and shaking, cold or sweaty hands and feet, clenched jaw and grinding teeth. You experience constant worrying, racing thoughts, forgetfulness and disorganization, inability to focus, being pessimistic or stuck in negative thoughts. How stressed are you? Take this quick test to find out. Even if you are experiencing high levels of stress, you don’t have to stay that way. 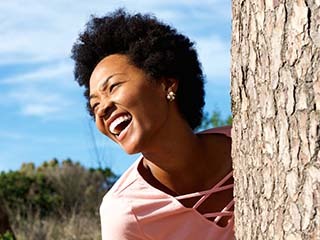 You can choose to make changes in your life and learn techniques to feel better now and lower the possibility of stress-related health issues in the future. Breathe deeply. Just a few minutes of deep breathing can calm you and tame your physical response to stress. You can do it anywhere, such as at your desk or in a parked car. As you breathe out, relax a specific muscle group. Start with the muscles in your jaw. On the next breath out, relax your shoulders. Move through the different areas of your body until you’re feeling calm. Focus on the moment. When you’re stressed, you’re probably worried about what to do next or regretful about something you’ve already done. Distract yourself from worry by focusing on what you’re doing right now. If you’re walking, feel the sensation of your legs moving. If you’re eating, focus on the taste and the sensation of the food. Practice being in the moment. Keep your problems in perspective. We get stressed when we focus so much on a specific problem that we lose perspective. You need to remind yourself of the ways in which you’re lucky — that you have family and friends, that you have a job and good health. Counting your blessings helps you put your problems back into perspective. Identify what’s stressing you. If you feel stressed, write down the cause, your thoughts and your mood. Once you know what’s bothering you, develop a plan for addressing it. That might mean setting more reasonable expectations for you and others or asking for help with household responsibilities, job assignments or other tasks. Build strong relationships. Relationships can serve as stress buffers. Reach out to family members or close friends and let them know you’re having a tough time. They may be able to offer practical assistance and support, useful ideas or just a fresh perspective as you begin to tackle whatever’s causing your stress. Get enough rest. 7-8 hours of sleep each night is a powerful antidote for stress. Try cutting back on caffeine and alcohol, remove distractions such as television or computers from your bedroom, and go to bed at the same time each night. Learn relaxation techniques. Meditation or yoga helps with stress management. Getting good at them will take a little time and practice, but the long-term result is an improved mood and better health. Get active. Regular exercise is key to long-term stress management. People who exercise tend to have better moods and more energy than people who don’t. Regular exercise will also lower your risk for many health problems. Doing these things will help calm you down and lift you up. But if you continue to feel stressed, talk to your doctor. Your doctor can help you learn how to manage stress effectively or, if needed, refer you for additional care. 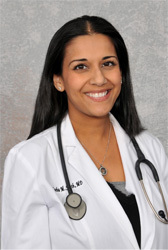 Dr. Sneha Sheth sees patients in MPCP’s Arundel Mills office. She received her medical degree from St. George`s University, School of Medicine, and completed her residency program in Family Medicine at Robert Wood Johnson Medical Center. She is certified by the American Board of Family Medicine.